Most people only think about hiring an accountant or CPA during tax season. While that’s certainly necessary given that the tax code is only getting more complicated and not less, your company can benefit from financial experts throughout the year, too. You need someone to handle your bookkeeping, accounting, auditing, and planning for the future. Most companies keep a bookkeeper on retainer. If you hire a CPA to do your books, then you have the option to ask them to perform additional services as you need them. In theory, bookkeeping shouldn’t be difficult. While it’s not brain surgery or rocket science, keeping the books can be challenging if math was not your favorite subject in school. It’s not just about addition and subtraction, either. Proper bookkeeping involves categorizing expenses appropriately to generate accurate financial statements. And while it may be tempting to label everything as ‘office expenses’, the IRS will get suspicious if you don’t categorize properly. If you don’t understand amortization or have difficulties recording non-deductible expenses for tax purposes, a bookkeeper or accountant should probably step in. It’s best not to wait until tax season to get your books in order, because you’ll want to know how your finances look as you go along. Without a bookkeeper, your company could have trouble with cash management along the way, and you may even have a hard time making payroll in time. In addition to keeping your books for you, a CPA can generate financial statements for you on a monthly, quarterly, and annual basis. Understanding your actual and projected cash flow based on your records can help you make better decisions for the company. The numbers will explain whether it’s time to hire more help, stock up on products, increase advertising, or set more money aside for taxes. You don’t have to understand how to read the statements in detail, although it doesn’t hurt if you know a little bit about what they mean. Your CPA is there to answer your questions as you go along. Having your statements available can also help you analyze past expenses and determine the value of past acquisitions. Everyone makes mistake, but smart business owners know that they can learn from them and do better next time. Small and medium-sized businesses can benefit from auditing services as much as large corporations. A financial audit can reveal a lot of useful information about your company. 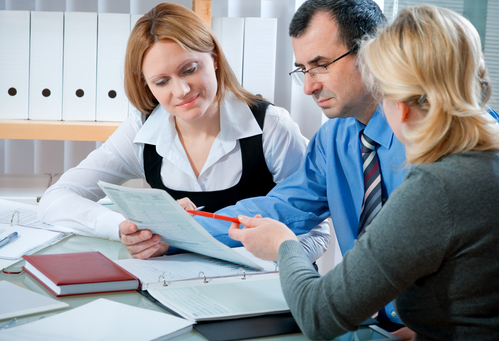 During an audit, your CPA will review the procedures your company uses to compile financial statements. If applicable, they’ll point out where there is room for improvement and at which point the accuracy of your records may be called into question. There are different reasons for requesting an audit, but it may be done to verify that certain employees are doing their job properly and clearing up any inconsistencies in your financial records. If you suspect that your financial procedures could use a tune-up, auditing the way you run your business is a great first step. If your company is merging with another company or being bought out, the other business may also request a third-party audit. Even if your business is generating plenty of profits today, this may not always be the case. You may need to invest in new equipment sooner or later, and a thorough review of your setup would reveal the associated future expenses. Also, it’s possible that you’re not using your resources as wisely as you could. For example, an accountant can help you determine whether it’s better to lease or purchase real estate or equipment for the business. They can also help you decide whether you should hire full-time employees or stick to temporary help for now. If your company plans to acquire another business, an accountant is vital to help you understand the financial situation of the other company. It’s possible that the other company has great assets but is suffering from a lack of cash flow or riddled with debt. An accountant can dig deep into the financial records and uncover the true picture for you before you make a commitment you might regret. They can also help you come up with a fair price for acquiring the other company and help you estimate your new future earnings. A CPA does more than prepare your tax returns for you. They can help your business become more profitable by evaluating your financial transactions throughout the year and helping you plan for the future.